Hidden away at the base of Mount Rainier, the Electron Hydroelectric Project diverts water from the Puyallup River into a ten mile long wooden flume. Hidden away at the base of Mount Rainier, the Electron Hydroelectric Project diverts water from the Puyallup River into a ten mile long wooden flume - The Windiest Railroad Track In The World. The water then empties into a reservoir, travels down four penstocks, and into a powerhouse. Electron has a 26 megawatt generation capacity. This output is enough to power 20,000 households. 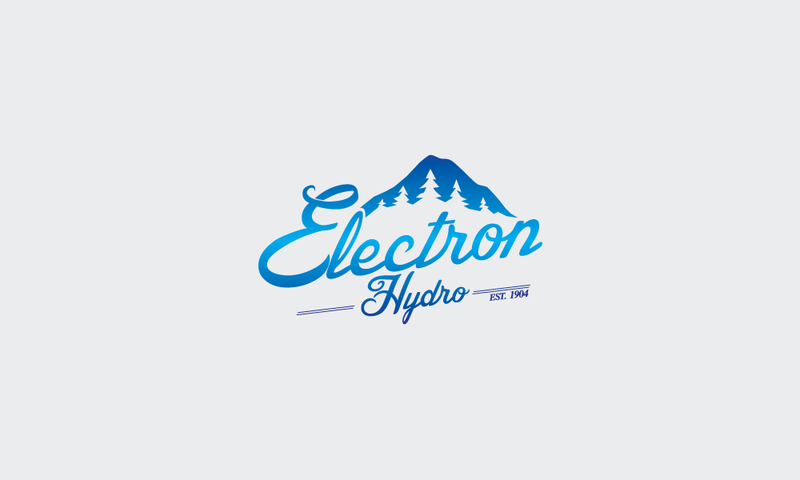 Electron was brandless, and thus needed a strong brand that represented this project that is very much iconic of Washington State, and it's hydroelectric endeavors. 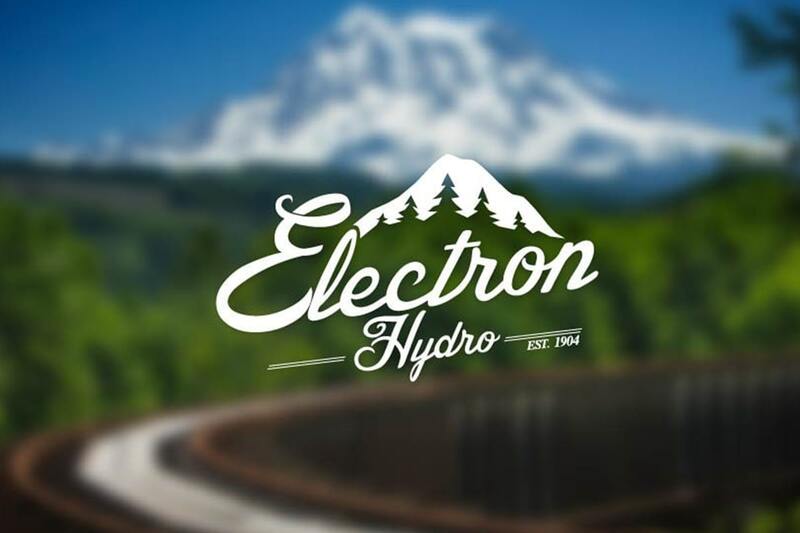 Electron Hydro reached out to Stambaugh Designs to design a brand that is reminiscent of days gone, and make a nod to Rainier. 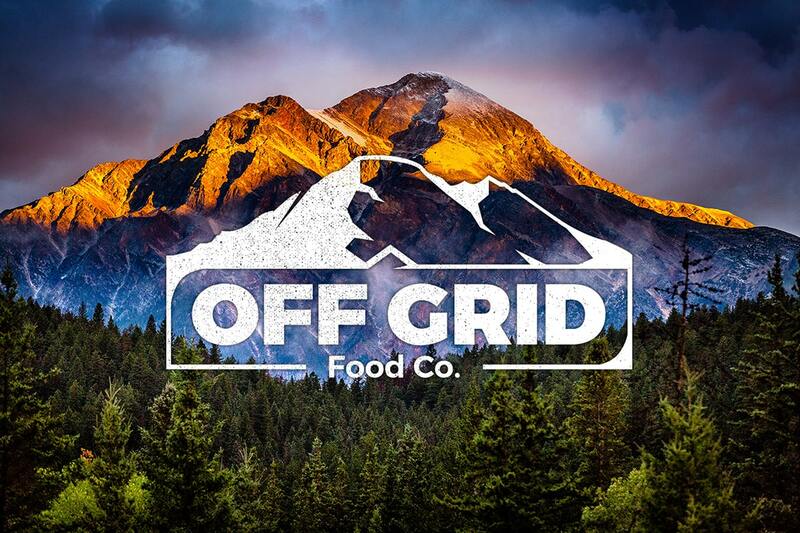 The resulting logo has clever use of negative space with the trees in the mountain shape creating a strong mark. The leaning, italicized style to the typography emulates the movement of water. 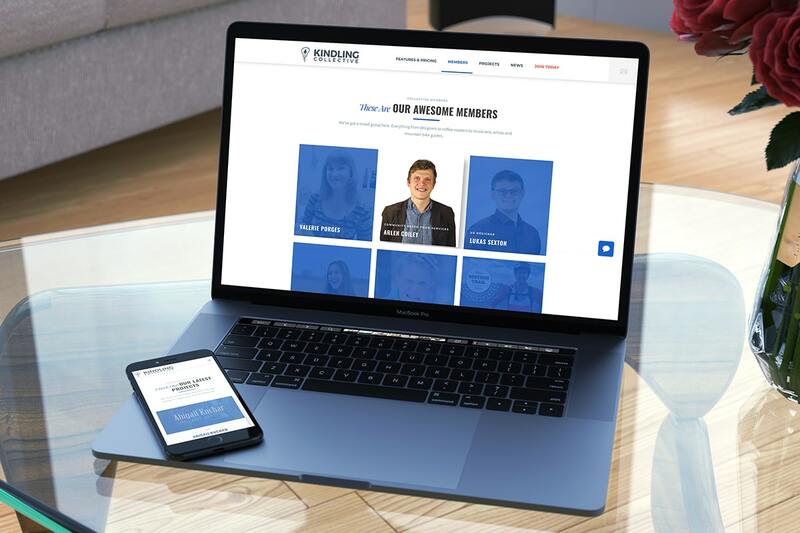 The logo is now used on all safety equipment, their website, water bottles, trucks, and more.